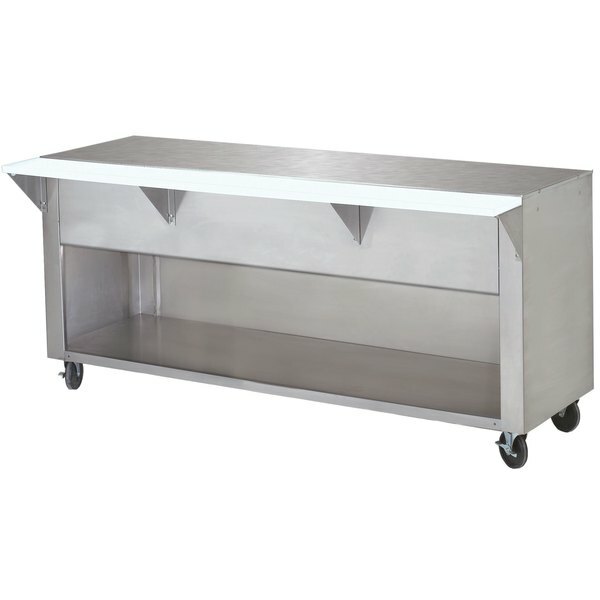 Boost your buffet presentation and style with the STU-2-BS stainless steel ice-cooled table with cabinet base is the ideal addition to your high volume foodservice operation. This unit is ideal for offering fruit or dry cereal at your breakfast buffet, displaying non-refrigerated desserts such as cookies or cupcakes in your college cafeteria, or even holding flatware, plates, and napkins! 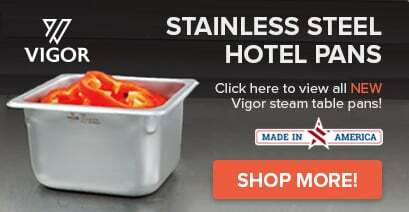 The top measures 31 13/16'' long and is fitted with an 8'' wide white thermoplastic cutting board for added convenience, while an enclosed base allows for extra and secure storage. The Advance Tabco STU-2-BS solid top table will serve as an excellent addition to your buffet, breakfast, or dessert bar.